Posted on Thursday, December 3rd, 2015 at 3:55 am. We chose the topic of should there be a rematch between WBC middleweight champion Saul Alvarez and former champ Miguel Cotto. The official judges scorecards had Alvarez winning the fight. Cotto did not agree at all with the scores which is not surprising. However, he was not alone. Many of the media and fans thought Cotto won the fight as well. The majority seemed to agree that at worse it should have been much closer on the scorecards. In all most felt that it wouldn’t be such a bad idea if the two ran it back one more time. 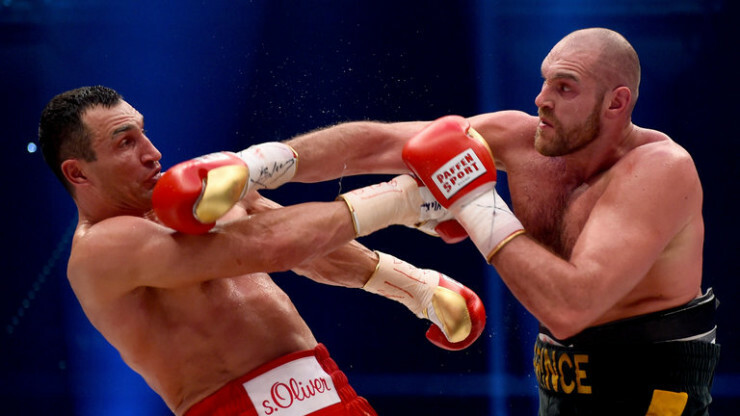 This past weekend Tyson Fury scored a monumental upset of former champ Wladimir Klitschko. It was not an exciting fight at all but Fury and his team had the absolute right gameplan for sure. Fury was able to shutdown Klitschko’s offense in a matter of a few rounds while scoring himself. Klitschko for many years has been the one usually to frustrate his opponents and limiting their offensive attacks to wild swings. It seemed very odd to see him so out of sync. This can for sure be credited to Fury. There was a rematch clause in effect. This week Klitschko announced that he wants to exercise this option. The question now is will there be any difference the second time around. Klitschko was in very good shape and suffered no reported injuries the first go round. Klitschko not surprisingly feels that he can make the necessary adjustments. The first fight between the two he didn’t flash any of that. Klitschko pressed hard toward the end and still could not get to Fury. Please give us your opinion on who you think wins the rematch between Fury and Klitschko.